ICMAI CMA Inter Final results June 2016: Candidates can log on to the official website to check their results. 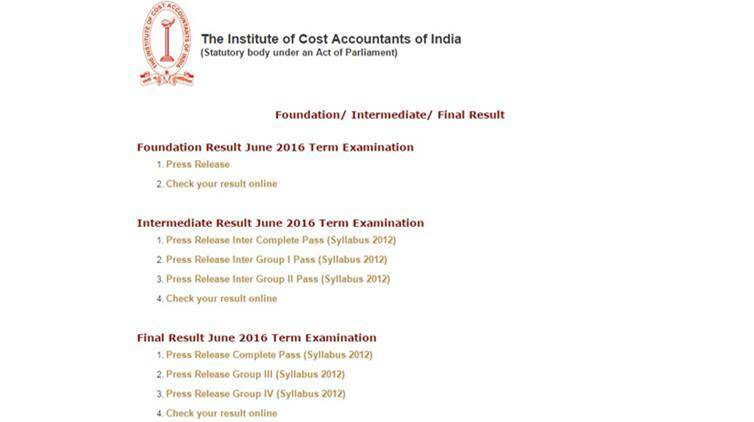 The results of the Institute of Cost Accountants of India (ICAI) CMA Intermediate final results for the exam held in June 2016 have been declared on the official website of the ICWAI. Candidates can log on to the official website to check their results. The exam was held in June this year. The result of the ICWAI CMA final exam 2016 have already been declared on the official website of the Institute. Check your roll number and save your result.